The title says it all, I am infatuated with embroidery! While many probably think of it as a trend of the past I can't help but love the look of embroidery especially on blouse like tops! I posted the photo below to instagram and I had forgotten how much I absolutely adore this flawy embroidered top until I got my summer clothing out of their storage! My dad even complimented me on my top (hey dad!) it seems as though embroidery may be timeless (ok that may be pushing it)! While this look is a bit more edgy compared to some of my typical outfit choices it is such a fun summer look! My embroidered blouse + chinos + these beauties is my personal perfection of a combination between preppy and whatever embroidery may be classified as! 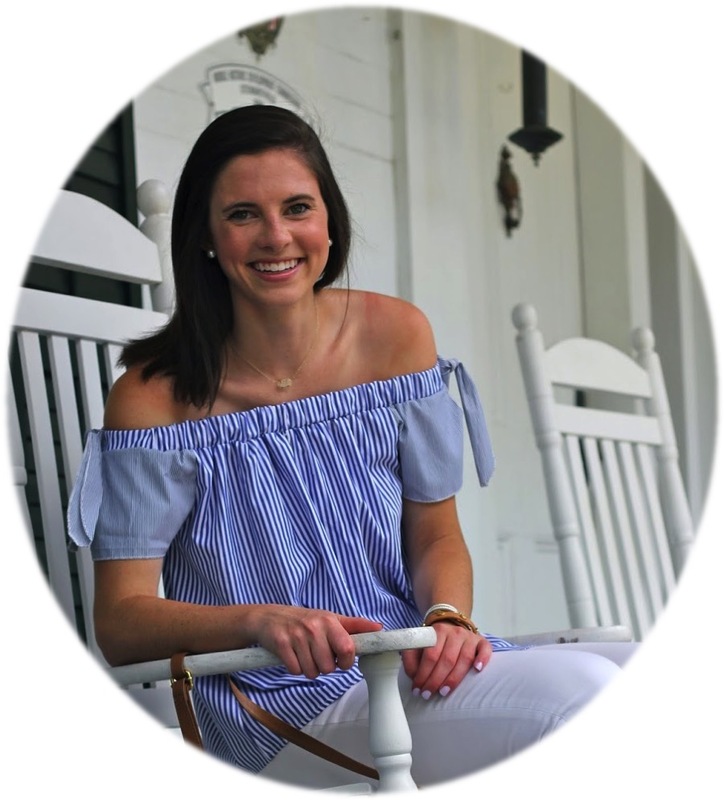 This top was one of my awesome Forever 21 finds last summer and it inspired me to check out some similar embroidered options offered out there online! To my pleasant (or peasant matching the trend of my top, too far? Oops) surprise I found a plethora of fanciful options for embroidered tops that I couldn't help but add to my online shopping cart! 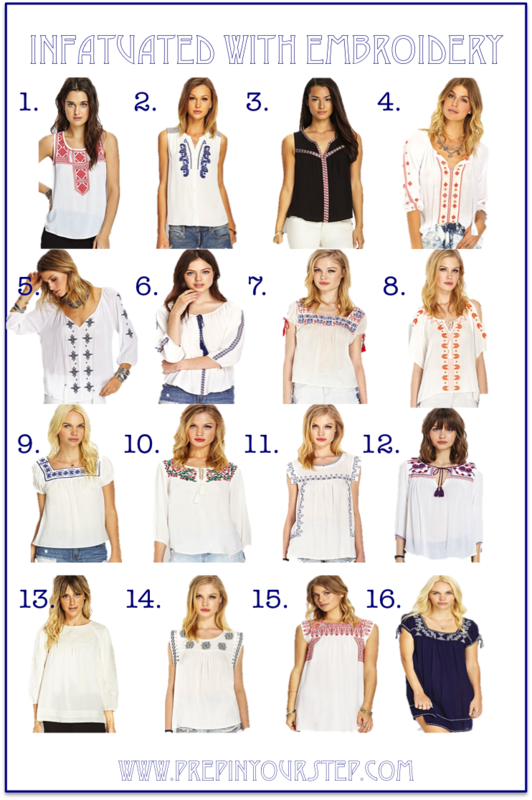 If you want to join me in taking on these tops that seem to scream fiesta check out all of these amazing options below! P.S. I didn't even mention the best part, they are all under $30, so go ahead and buy two! Also, I know they may look a bit edgy on the models but it really is all about how you choose to pair and accessorize them, happy shopping! Your best option is really a view public sale exactly where you've got a greater likelihood associated with discovering your selected iwc replica view design. A wrist watch public sale is definitely an developed market where one can bet for a passing fancy view or even Omega replica uk several wrist watches and obtain to purchase all of them for any cost, which may or else end up being not possible to find an area view shop. This really is louis vuitton replica the actual solitary greatest benefit of the gemstone view public sale. From a good on the internet public sale, you'll find the Benny & Company mens gemstone view having a cost associated with $6400 just for fifty percent hublot replica uk the cost and therefore online auctions would be the ideal declaration with regard to cost. For those who have already been fantasizing in regards to a particular two. 6 ct., whitened as well as yellow-colored gemstone studded chronograph view along with glaciers call as well as leather-based straps after that it's not necessary to appear too much! With regard to somebody within the rolex replica gmt marketplace for any very costly view, they could be willing to appear worldwide for that unique jewel which they could be trying to find. Lots of people obtain fed up with searching in your area with regard to rolex replica sale the actual view they need plus they use the wider list range. Costly wrist watches may operate up to and including zillion bucks as well as come with just probably the most delicious functions that the arm replica watches uk view might have. The actual fingers don't include any kind of comes and therefore are by hand ended up. Along with wrist watches such as this in order to selected through, your own choice procedure may be the difficult 1. Every view consists of some thing therefore not the same as another as well as each is spectacular.